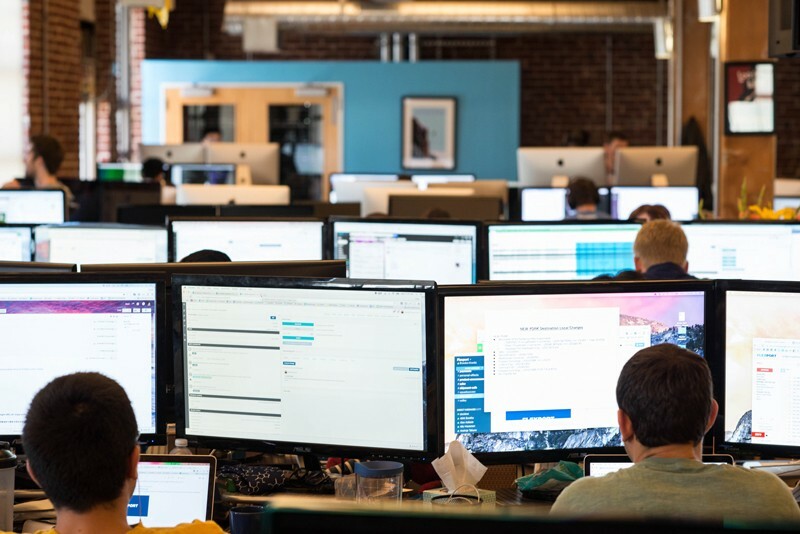 A little over 2 years ago I joined Flexport, a global logistics company that employs people and software to manage the complexity of international trade, as the Lead Designer and one of the first full-time employees in a small office in San Francisco’s SoMa neighborhood. I remember how lucky I felt to be working with amazing people on the ambitious goal to design the new operating system for global trade, but there were some days when I wondered what the hell I had gotten myself into. I left a great job at a respected tech company in Silicon Valley to work on a moonshot. Since these early days, our growth has exploded. We now have offices across the world. Just in the last year we’ve grown headcount by 5x, revenue by 10x, and onboarded more than 700 active clients. And we have a long way to go. 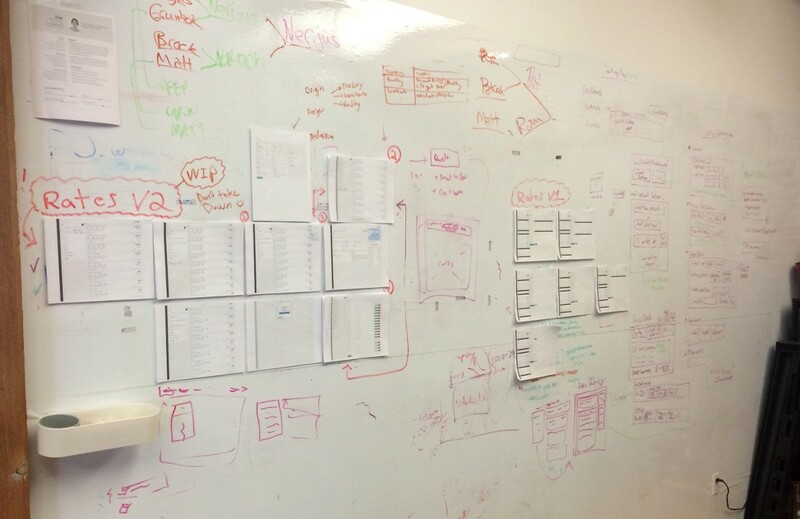 I’ve distilled the top 3 lessons I’ve learned while leading design at Flexport. I hope this article will help designers in a similar situation survive the rollercoaster. Show the role of design. The role of design in business has become increasingly important over the last decade, but not everyone has kept up with the progress. There will always be colleagues that think design is the same as engineering, or believe that it just deals with aesthetics. The design leader must explain the business value of design and the complexity of the role it plays. At a high-growth startup there isn’t the structure or people in place for design to be understood, and the company landscape constantly changes. It’s important that the business leaders understand the different ways design fits into the company. Help adjacent roles visualize the future. The best way to communicate the role of design is to learn adjacent skill sets. People often need to see something to understand it, and they interpret what they see through the lens of what they know. Designers have the unique ability to visualize the future. By learning complementing skill sets in business and technology, the designer develops a greater language that they can translate into visual form. This produces a vision for the future that others can understand. Show the process. The design leader must work to educate the team and new hires on how design functions within the startup. This can be as simple as sharing user interview insights, personas, journey maps, or wireframes with a new hire. This will give a glimpse of how design functions within the company. Talk to users. The most valuable thing a designer can do in the early days of a startup is to get out of the building and conduct user interviews. The designer should make sure to have a few open-ended questions prepared, which will open up more questions. It’s important that the designer interviews the user in the context in which they use the product. After the interview, the designer should observe how they work. This is always an eye-opening experience. Look for ways that the user’s workflows diverge from the product, and what other things they do to complete a job. Bring a diversity of roles into the design process. The second most valuable thing a designer can do is collaborate with different roles on the team. When multiple roles combine their expertise, they produce breakthrough ideas with the ability to execute. It is important that designers collaborate closely with business leaders, PMs, engineers, and subject matter experts early and often. Collaborators should generate ideas independently, then present them together. New possibilities will come out of the mix. Feedback loops get longer. The length of the feedback loop in a high-growth startup should be much shorter than an established company because the team needs to maximize learnings. However, as the startup matures and gains product-market fit, the problems get harder and the feedback loops often get longer. Features will require more input from others—or less—as structures mature and things become more complex. Clarify critique. People interpret things differently. When someone comments on a design, it could actually be about the content. This is why the designer must always clarify critique. People are also much better at identifying surface problems than understanding the root cause. People jump to solutions without evaluating the depth of the issue. It’s the designer’s job to re-frame solution requests into problem statements. Everyone is a designer. It’s the designer’s role to listen to people’s feedback and interpret what they say. They should include users in the design process to test, guide, and influence the final outcome. But not everyone can be included—inevitably there will be people who react negatively to what gets built because they didn’t feel like their voice was heard. Mind the “settle in” period. Users will often immediately reject a new design solely because it’s different from what they were used to. This is especially true for startups that are reinventing an industry. Don’t immediately react when users reject a new design—unless it’s preventing them from completing mission critical tasks. Wait for the new design to settle in. If the team addressed the root problem, most often a week will go by and the user will adapt, and completely forget the old design. Document the organic process. Systems will form organically given that the right people are in the right role with the right amount of autonomy. The design leader must enable the shared documentation of the system by breaking it into its components and constantly trimming the fat. Lay an adaptable foundation. At a high-growth startup there will inevitably be a lot of change to the business model, product, team, and user base. The design team has to constantly adjust and adapt their systems to accommodate this change. Things get messy and there’s a lot of foundational work that needs to get done in order for great design to happen later on. The design leader needs to lay the foundation for good design to happen in a consistent way that adheres to design principles and patterns, as well as reflects the startup’s brand values in a radically changing environment. 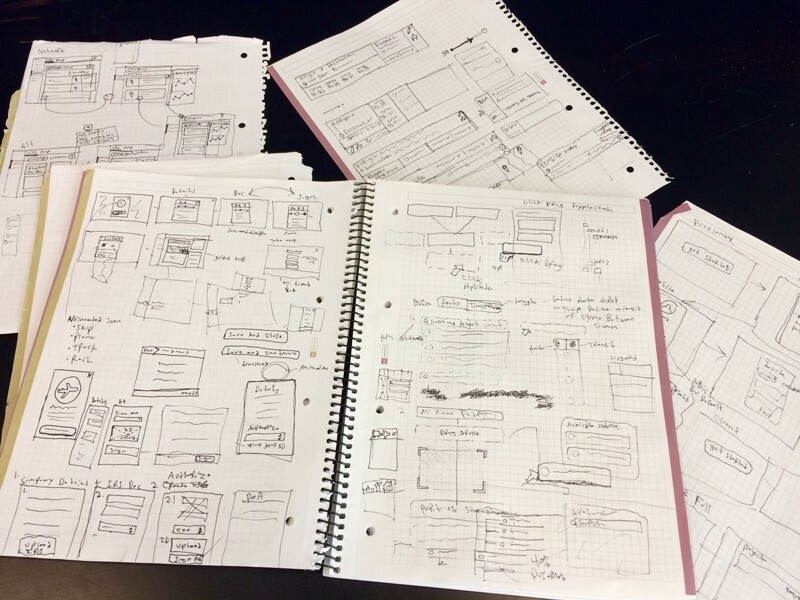 It’s painful and frustrating—and it’s the most important thing the design leader must do. Build a team. A systems approach should also be used to develop a team. Building a team is like fitting puzzle pieces together. Each designer should have complementary competencies. Some candidates are amazing visual designers, others are great user researchers, and some can translate a complex design into beautiful code. Some designers are outgoing and collaborative, and others are great at execution. In order to determine the qualities that the team needs in each hire, the designer(s) should write down everything they do and categorize it under each competency. This list can then be used to inform hiring decisions and growth opportunities. Inevitably the lead designer will become more of a manager as the team gets bigger. As this happens they’ll slowly delegate control of the design to the team, and work on maintaining the system. Build a design library. This process is similar for building design guidelines. Teams have to first build design before they standardize it. As the team works through iteration cycles, they should document components, patterns, and processes, as well as add them to a library for repeat use. Start with the basics. The design team should start with the basics when building systems. New possibilities will arise as the foundation is built. Projecting too far into the future will lead the team down the wrong path. Focusing on the problem is the way to the future. These are the lessons I’ve learned while leading design at Flexport. Although these lessons are unique to my experience, I think they’ll help designers at high-growth startups manage the journey.